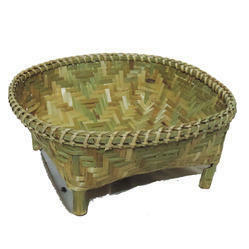 As an affluent name in this domain, we hold expertise in providing high quality Disposable Bamboo Bowl. plates and bowls are great in Quality, Design and Finish. They are 100% eco-friendly. Bowl Set inspires a "no fuss" approach to your child's independence. The square shape and non-skid features help your child to enjoy the taste. 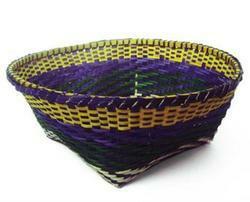 Are you shopping for a new bowl set, salad bowls or decorative fruit bowls for your home. Be sure to take a closer look at using bamboo bowl sets before you. Origami style, Woven tray/bowl made of bamboo with cotton lining. Comes with set of 3 bowls. Suitable for dining.